Reigning CMA Vocal Group of the Year Little Big Town will join CMA Award winner Darius Rucker WEDNESDAY, SEPTEMBER 3 in New York City for the announcement of the final nominees for The 48th Annual CMA Awards. Country Music will take over New York City on Wednesday, September 3. 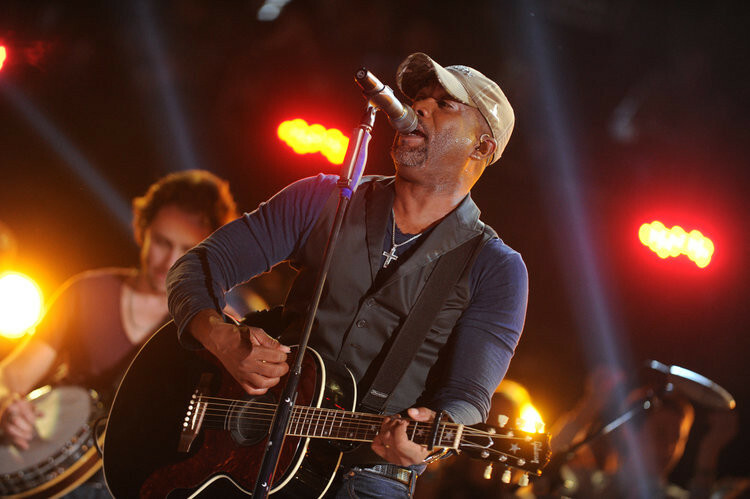 The day begins with Rucker performing “Homegrown Honey,” the debut single from his upcoming new album to be released in early 2015. Following his performance, he will be joined by Little Big Town for the announcement the final nominees in five CMA Awards categories live from the “Good Morning America” studios in the heart of Times Square on the ABC Television Network. The announcement will air in the 8:30 a.m., ET half-hour segment of the top-rated, morning news program. Following “Good Morning America,” Little Big Town and Rucker will be at the Best Buy Theater in Times Square to announce the finalists in the remaining seven categories along with the announcement of the CMA Broadcast Awards for Personality and Radio Station of the Year. There will be an additional presentation by the CMA Foundation’s Keep the Music Playing music education campaign. This event will be streamed live via CMAawards.com beginning at 10:00 a.m., ET. Nightfall brings the 10th anniversary celebration of the CMA Songwriters Series at the Best Buy Theater with Rucker and hit tunesmiths Frank Rogers, Rivers Rutherford, and series host Bob DiPiero for an in-the-round presentation of the songs that have touched the lives of millions of music fans. The show will be streamed live via CMASongwritersSeries.com. The CMA Board of Directors created and launched the CMA Songwriters Series in 2005 at Joe’s Pub in New York City, which has grown to include shows in Austin, Boston, Chicago, Los Angeles, Phoenix, Washington D.C. at the Library of Congress, and at the Sundance Film Festival. In 2012, the series expanded to the U.K. and Ireland and last year was included as part of the International Marketing Summit in Paris. The CMA Songwriters Series returned to the U.K. in 2014 as part of the C2C (Country to Country) festival, which is presented at The O2 in Dublin and London in partnership with CMA.